Fox Meadow PTO is fundraising for Project Playground at our school! Project Playground will be a two phase project. Donations from family & businesses are welcome at any time. 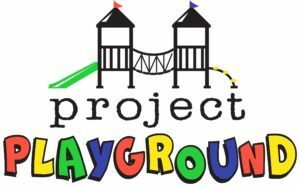 All donations to Project Playground are Tax Deductible. Welcome to our Fox Meadow PTO website. We hope that you will bookmark our site and come back often. © Fox Meadow PTO 2019 - Powered by Digital PTO - Theme by Colorado Web Solutions & Belouga.